“As Time Goes By” is a delightful tune written by Herman Hupfeld. 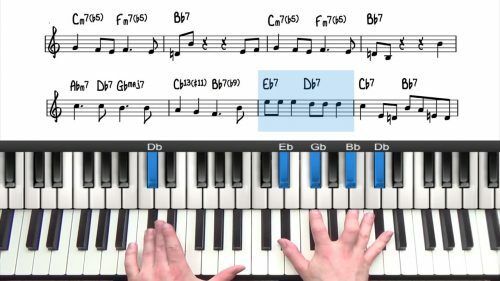 Most commonly associated with the 1942 film “Casablanca”, this timeless classic is written in the key of Eb Major and follows a standard 32 bar A-A-B-A form. 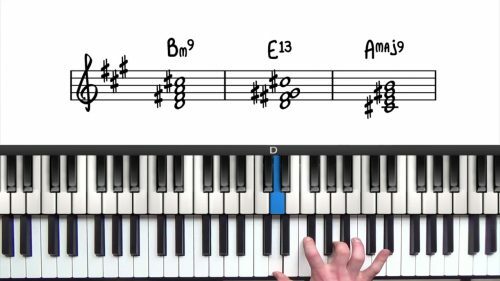 In part 1, we’re going to quickly run through the form with the melody and left hand voicings so that we can familiarise ourselves with the chord changes and melodic movement. In part 2 we discuss how you can repurpose sections of the form to create an interesting and engaging introduction. We first look at developing an introduction with the last few bars of the tune and then we’ll look at how we can repurpose the whole of the bridge as an introduction. In part 3 we explore the form with 2 handed voicings. We build upon what we have covered in the previous tutorials by introducing upper structure triads, suspended chords and a stride left hand style. I’ll provide a few different ways to play through the changes, ranging from simple to advanced. Some of the stride style in the bridge is quite challenging to play and I’ll give you some guidance on how to practice this style of playing. 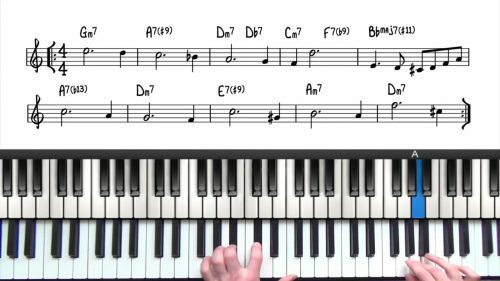 Spend some time to play through the form with left hand voicings and the melody. This will help you become familiar with these useful voicing shapes. In part 3 of this tutorial, we play with a stride style in our left hand and so you need to know these rootless left hand voicing shapes.